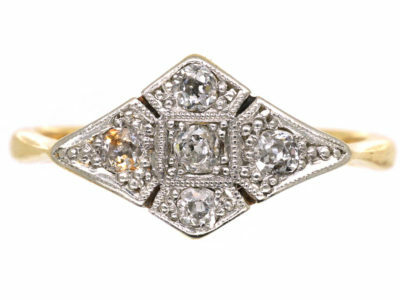 A smart Art Deco 18ct gold ring with a square platinum top. 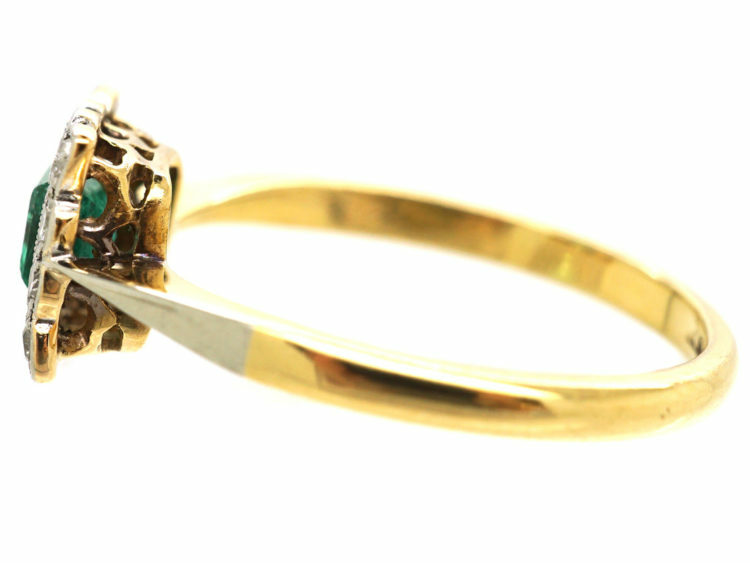 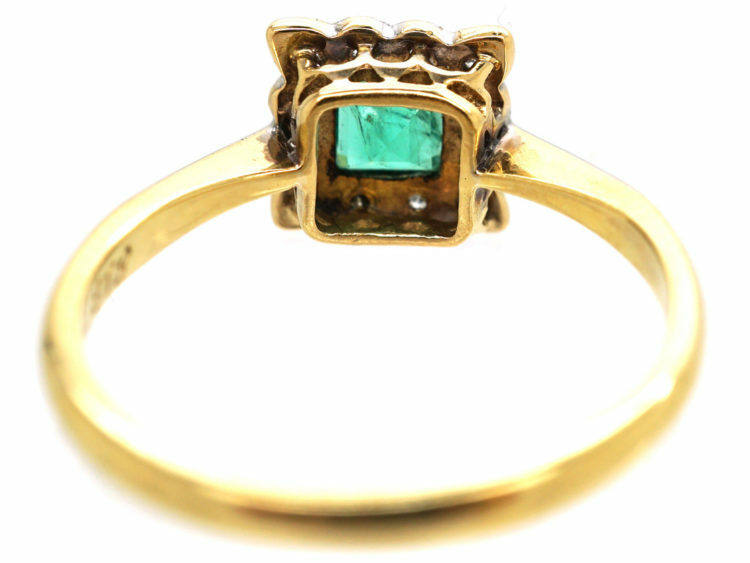 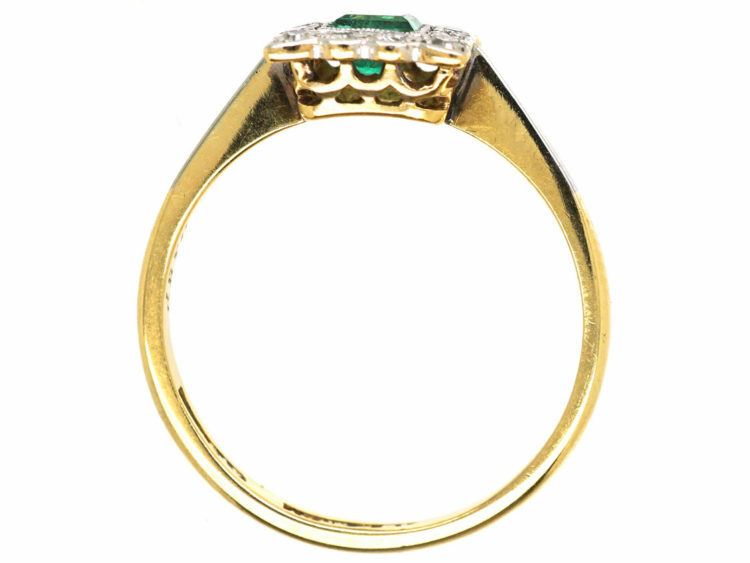 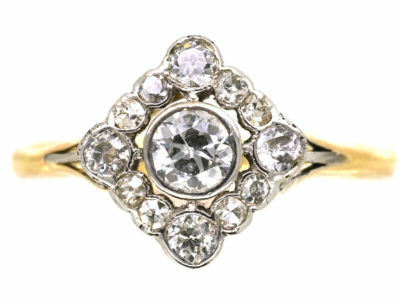 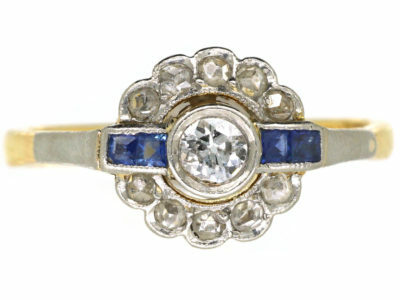 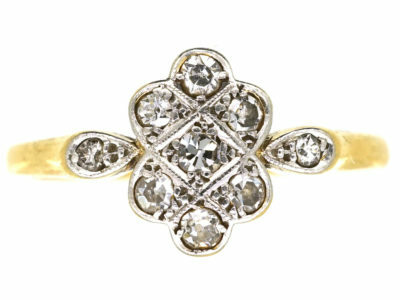 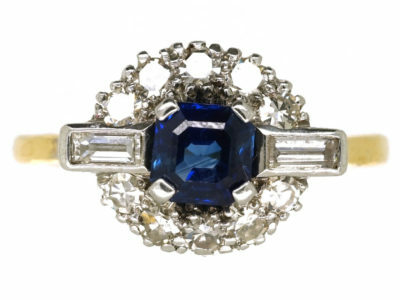 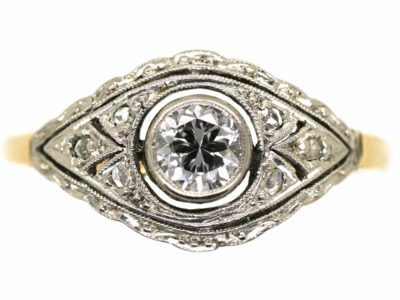 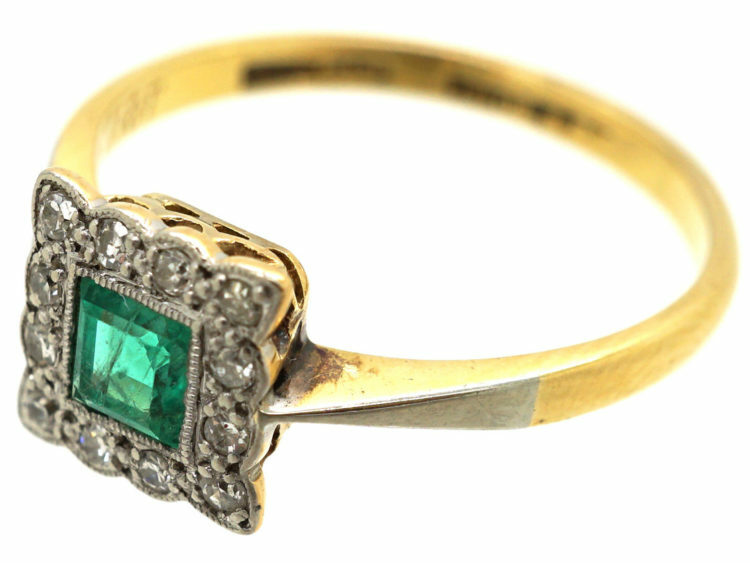 This ring is typical of the early 1920s. 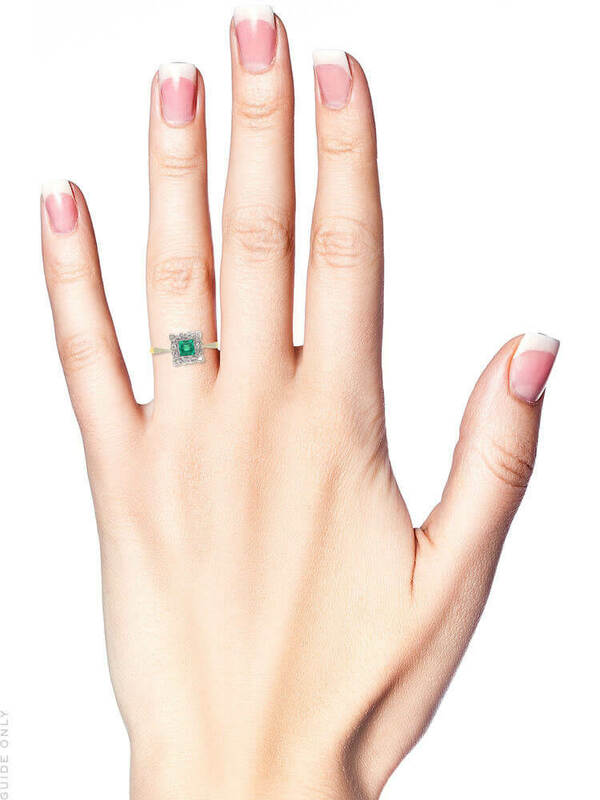 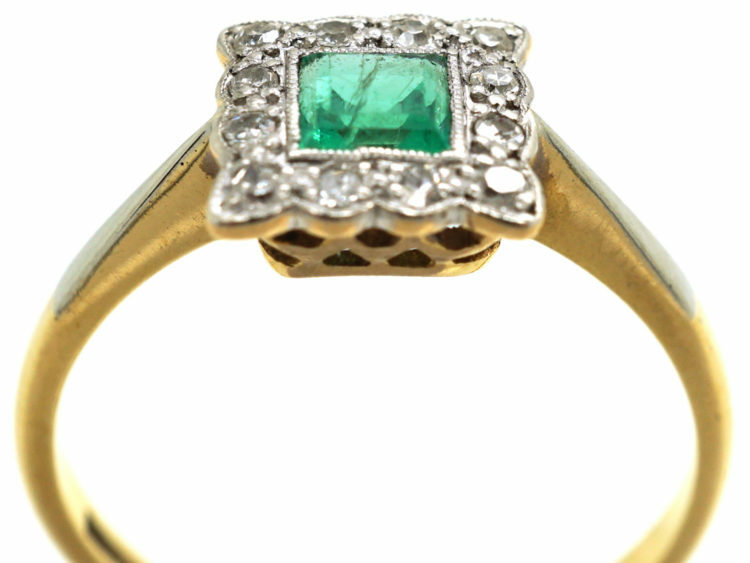 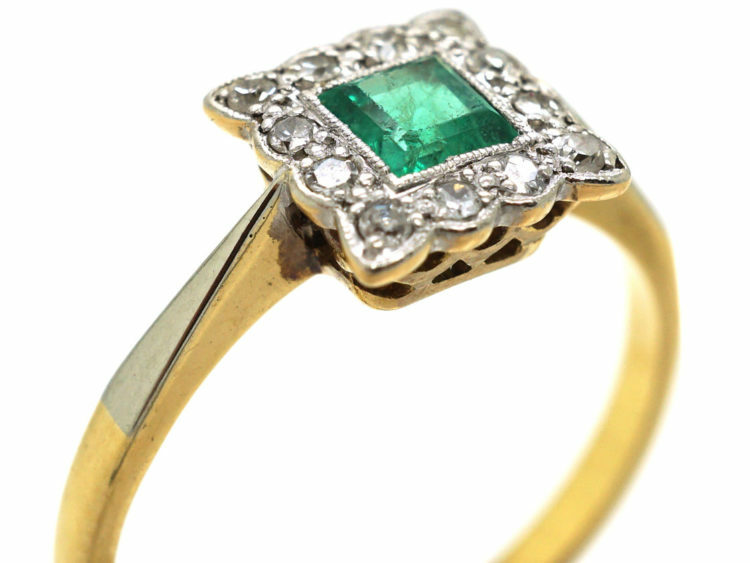 It is set with a square cut emerald which is surrounded by small well matched white diamonds. 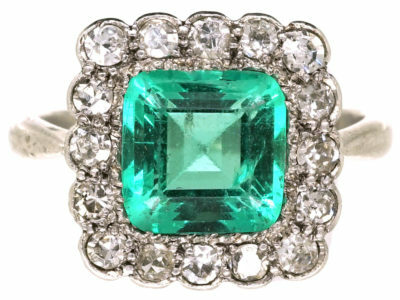 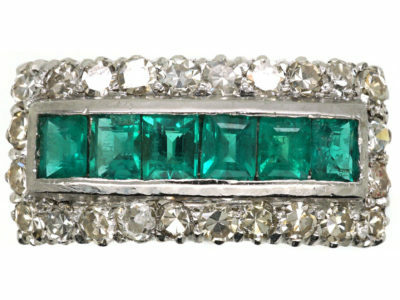 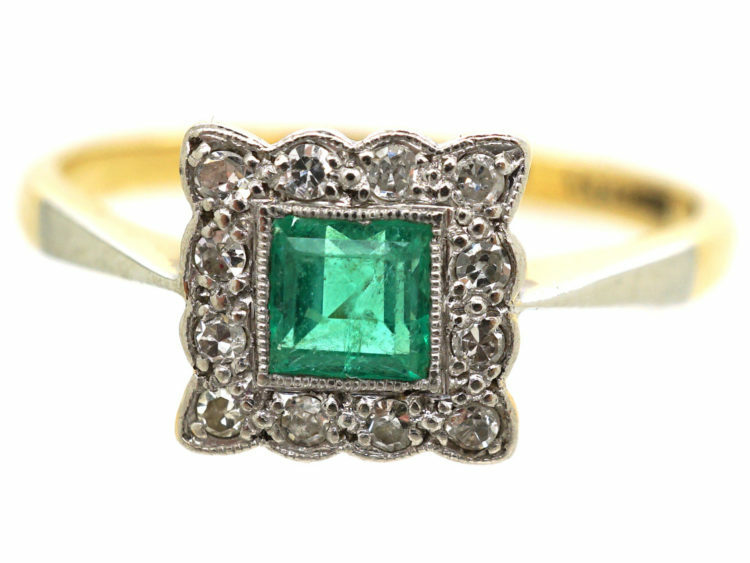 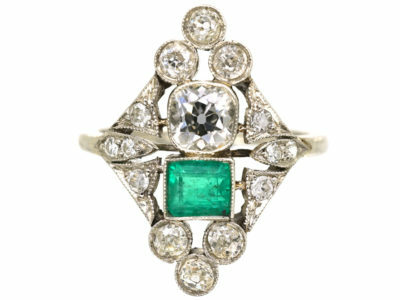 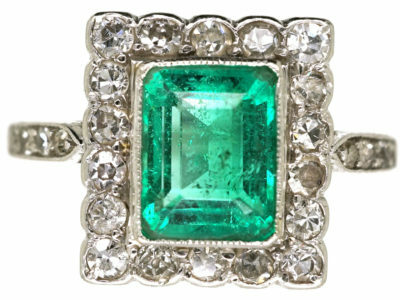 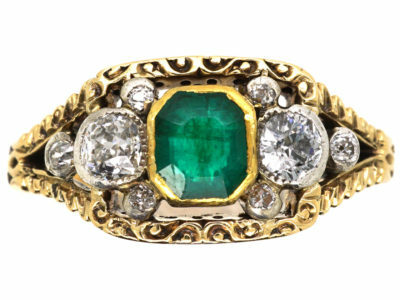 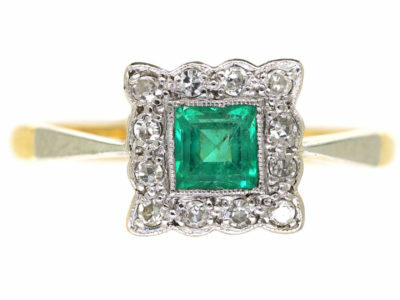 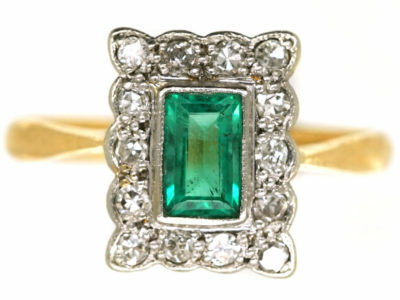 It would be ideal as an engagement ring for emerald lovers!